HitBTC is one of the leading global crypto trading platform which is in operation since 2013. HitBTC has an alexa rank of 6000 worldwide which is fairly good. Today I will let you know about the HitBTC Referral Program in which they are giving flat 75% of trading commission of users who you referred to HitBTC. Not only that if you are new and have never used HitBTC trading platform earlier then you will get 50% discount of trading fees if you joined using HitBTC Referral Link. 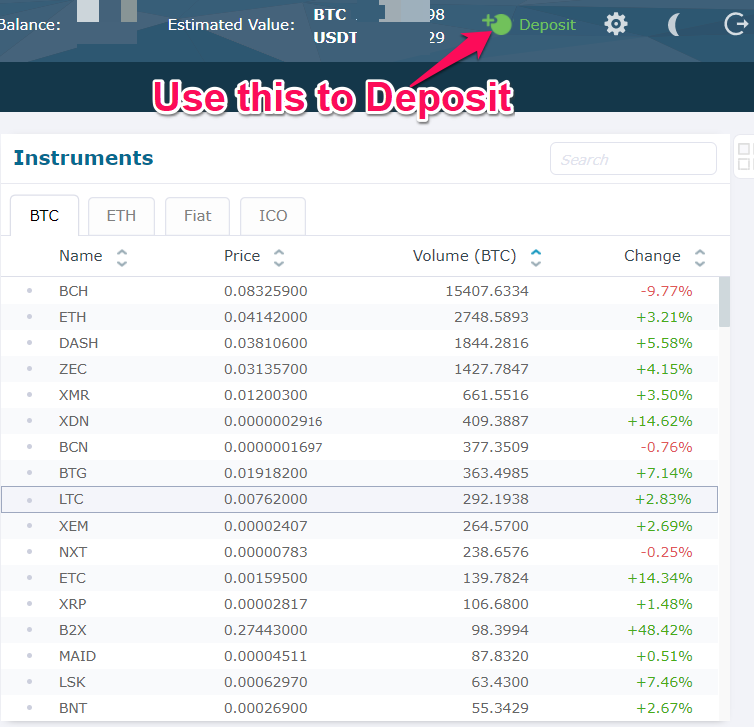 I use HitBTC regularly for arbitrage trading and have made money using this. 1 Why To Join HitBTC ? 3 How to get HitBTC Referral Link ? Its a Win-Win situation for both of us, you will get 50% discount on trading trading fees whereas I will get referral bonus, up to 75% of your trading fees, Isn’t it great. 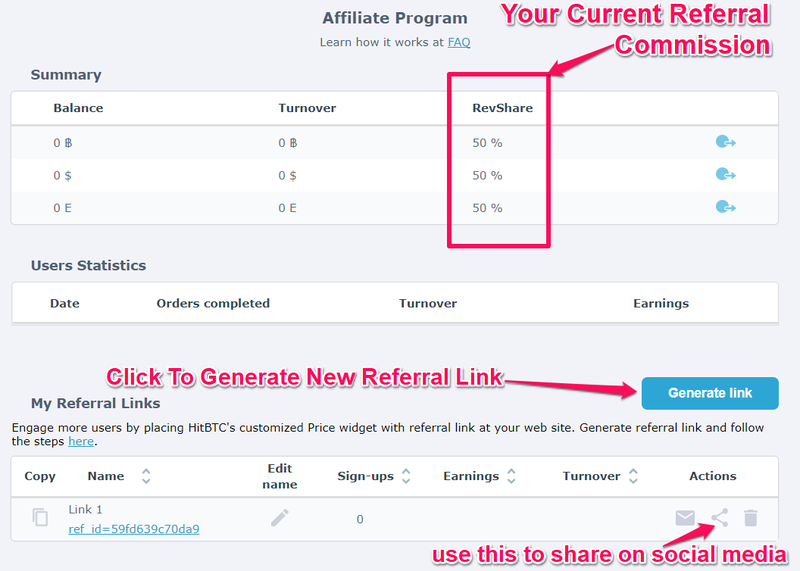 Refer your friends and family members to HitBTC and earn free money by referring, HitBTC affiliate program. Why To Join HitBTC ? It is one of the oldest and a trusted digital assests exchange established since 2013. They have some exclusive ICOs, altcoins which you can’t find on other exchange. First exchange to enable B2x, Segwit2x trading. Referral program is opened for everyone so will earn bonus for each referral who signed up using your referral link. They have some low volume coins, so you can do arbitrage trading. Unlike Poloneix they still have trollbox functioning which is really fun. Know here : Best Cryptocurrecny Exchanges To Trade Cryptos. 2. Create new account at HitBTC ( if already signed up then login ). 3. Complete the sign up process. How to get HitBTC Referral Link ? 2. Generate new referral link there. 3. Share your referral link on social media, with your friends and family members. 4. 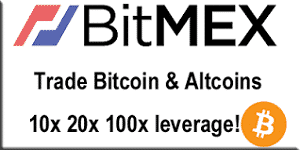 For each referral you will get up to 75% of referred user trading fees. Minimum amount to withdraw referral commission is 0.01 BTC. No limit on how many users you can refer. Referral promotion can end anytime. I have never referred any users to HitBTC, currently HitBTC gives me 50% revenue commission. I think the same will be applicable to you. Hope you liked our article about HitBTC Referral Program. To appreciate our work, give this article a social media share. Don’t hesitate to ask anything via comments below. Hello, it appears that people participating in the affiliate program are not receiving any payouts. Do you know what is going on there? Next Post: ASIC Mining Vs. GPU Mining : Which one is Best Right Now?